When getting a new roof for your home, it’s important to choose a material that is strong and durable. It’s equally important, however, to pick the right color for your roof. Similar to your siding color, the shade of your roof can have a huge impact on your overall curb appeal. You only need to replace your system once or twice in your lifetime, so be sure to choose a color that you won’t mind living with for many years to come. As one of the leading roofing companies in Michigan, Kroll Construction offers top-quality and beautiful roofing systems from Owens Corning®. Just recently, the trusted manufacturer has named their 2017 SHINGLE COLOR OF THE YEAR: Sedona Canyon. Let us discuss the amazing qualities of this roof color, along with some tips on using it to great effect. If you want a color that combines the look and feel of wood plus the calming effect of blue, then this is perfect for you. Sedona Canyon allows homeowners to have flexible design options in terms of color choice, regardless of the season. It has a warm, inviting appeal, mainly because it captures the genuine look of wood shake shingles. The difference lies on the variety of undertones that it delivers. Sedona Canyon offers an excellent color experience, exuding hues of chestnut, burnt umber, and butterscotch with a touch of blue. All these qualities give Sedona Canyon depth, dimension, and a gorgeous color effect. 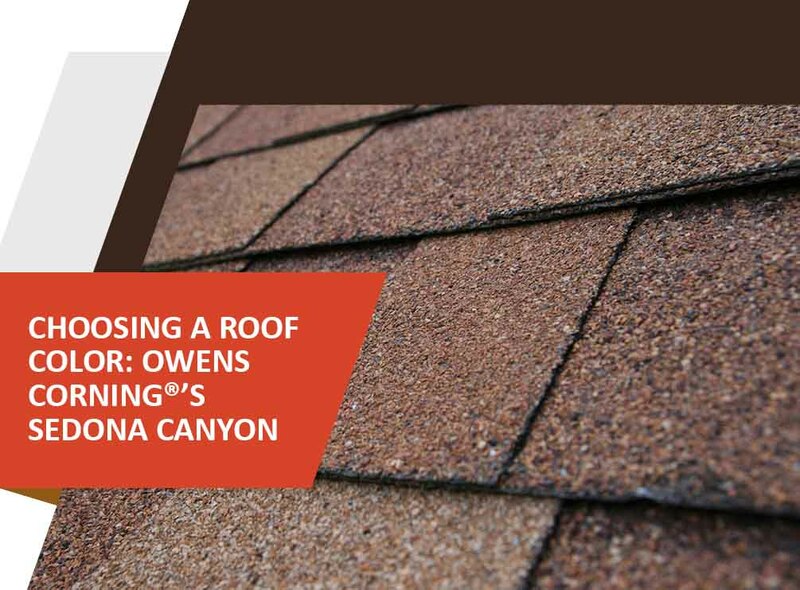 You can make the most of this color option when you install Owens Corning’s Duration® Designer Colors Collection shingles for your roofing in Michigan. Sharkskin with Sedona Canyon – Sharkskin maximizes the gentle effect of grey hues, making it pairable with almost any muted or bright color. The touch of blue-gray palette in Sedona Canyon pairs with Sharkskin wonderfully. Serenity with Sedona Canyon – Serenity’s blue calming effect combined with Sedona Canyon’s earthy tones creates a color experience inspired by nature. Marsala with Sedona Canyon – When you pair Marsala’s wine-colored richness with Sedona Canyon’s earthiness, you get an exterior color that is extremely pleasing to the eyes. Kroll Construction is among the premier roofing contractors in Michigan. Let us help you create a wonderful exterior through our products and services. Get started by calling us at (888) 338-6340 or by completing our form. We’ll be ready to assist you.